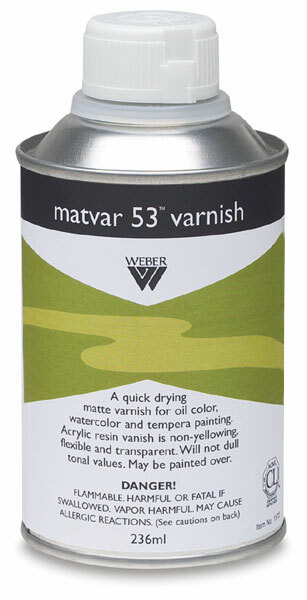 Protect your oil, watercolor, or tempera paintings with this matte finish varnish. Non-yellowing, flexible, transparent acrylic resin varnish that resists cracking peeling or marring. Contains no wax.